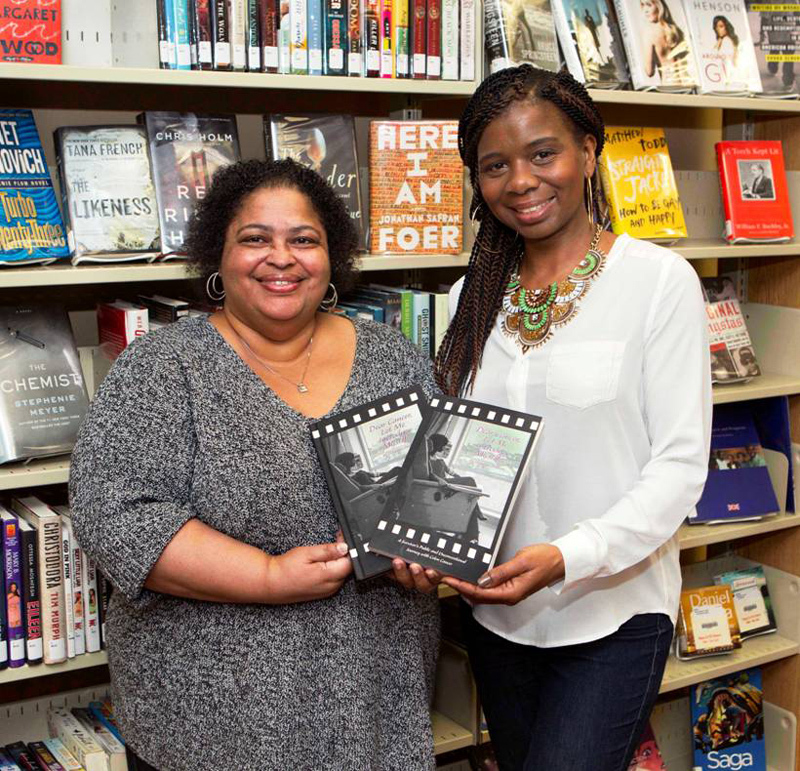 Yesterday [Feb 10], local author Giovanna Watson presented the Bermuda National Library with copies of her book “Dear Cancer, Let Me Introduce Myself.” Accepting on behalf of the library, was Director of the Bermuda National Library Joanne Brangman. Ms Watson was diagnosed with colon cancer in February 2014; two surgeries, eight chemo treatments, 26 radiation treatments, over 500 pills, and multiple memories later, she wrote the book and launched HelloCancer.org. “I decided to share my diagnosis and journey with family and friends through social media and live life the best I could in between surgeries and treatments,” Ms Watson said. Ms Watson’s book release party is being held on Saturday, February 18, 2017 at City Hall from 7:30pm to 10:00pm. Limited copies of the book are available at The Bookmart and Brown & Co. The paperback version is $34.95, whereas the hardback version is $44.95. To reserve copies in advance of the launch, members of the public can call Ms Watson on 705-8423 or HelloCancerBda@gmail.com. After telling people that I was going public with my diagnosis, people outside of my circle weren’t as supportive as you would think. They said things like “Why would you want everyone to know your business?”. We can’t learn or take power from the c-word if everyone keeps it to themselves. This was new for me and everyone around me so I was like if this is new for me, why don’t we all learn together? Well done and much appreciated by those who have won the battle over cancer, as well as those who still suffer at the lost of love ones, who they lost to cancer. Thank’s for the inspiration and may your book reach far beyond the shores of Bermuda, and impact countless of thousands. May God continue to strengthen and bless you continuously. Thanks so much for the support. My goal is to have it translated in other languages, write a children’s book to explain cancer and then create a support club, not a support group. This proves that we can turn any negative into a positive. I’m definitely been blessed even while going through this. As much as I love Bermuda, my goal is to have it in hospital and health care facilities around the world. I needed something like this while I was sitting for hours in waiting rooms for treatments and appointments and couldn’t find anything even close. May God continue to bless you and your family no matter what you may go though. Best wishes.You are a champion. Look forward to reading. May it comfort and inspire many who may have to take this journey and guide those or us who have to be there for support. Thank you for the support and well wishes. As no journeys are exactly the same, hopefully this will start a conversation between fighters and support people and remind people that they don’t have to loose their identity while going through this. Hope you have a blessed and productive day. Thank you so much for sharing your struggle. Your book will help others going through the battle. Thanks for the encouragement. From the moment a person picked up the book, I wanted the cover to make a statement. Everything around cancer is so casual and sometimes depressing. I wanted my cover to show strength and elegance and more importantly that the c-word isn’t who I am, it is just something I am going through. Still have to live life through it all.